In the years immediately following the dissolution of the Soviet Union, many of the former satellite states have found themselves in financial disarray. Tatjana a poor young girl in post-Soviet Latvia, with few options after she is forced by her stepfather to leave her childhood home, moves to the capital city Riga in hopes of finding a better life. There she finds that she is only one of thousands of young girls who have come to Riga in search of the same goal. 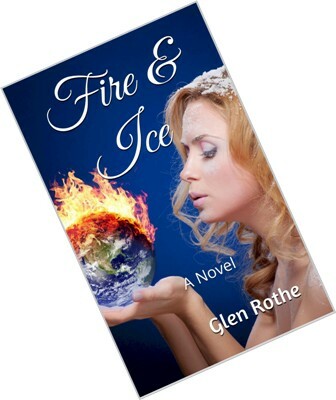 Unable to find any other job, she is persuaded to take on the identity 'Fire&Ice’ and become an Internet 'model' - fated to perform in her chat room for the entertainment of distant 'old men' in America. Rolf, the son of an important, influential and wealthy family, leaves his home in Europe to study at an exclusive college in the United States. Bored and restless in a country where he never quite fits in, he finds himself roaming the 'information superhighway' in pursuit of something; but he won't know what until he finds it. 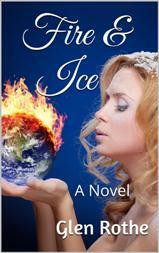 By chance, Tatjana and Rolf meet in Fire&Ice's Internet chat room. Without either of them realizing what is happening, they begin to fall in love. But can two persons from such different backgrounds make this love work? Against all odds, it seems that they might be able to do just that, even though numerous unanticipated obstacles would appear to foil all efforts at happiness for these two star crossed lovers. GLEN ROTHE has written numerous short stories, and has been primarily published in that genre. After a successful business career, Glen along with his wife, Donna, had the unique experience of owning and operating a small country inn. During his time as an innkeeper Glen was constantly surprised by how many guests who arrived at the door were meeting in person for the first time, after initially getting together on the Internet. Glen's previous book, also published in 2014, is his coming of age novel Hashbury, which is based, in part, on his own experiences living in Haight Ashbury.